San Ignacio is a fun town deep in the inland of Belize, and is home to various Mayan ruins, caving adventures, and other outdoor and wildlife-centered activities. The hostels in this area are diverse, as some are located in town, while others are in remote rural locations. Each hostel and location has its advantages and disadvantages. The hostels in town offer more conveniences such as nearby restaurants and shopping, cheaper dorm prices, and modern amenities. On the other hand, the hostels set out in rural areas provide direct access to the wild, natural attractions of the region. With hiking, swimming, and the excitement of the jungle within easy reach of your doorstep, these hostels are poised to make your trip more adventurous, if not less convenient to town. 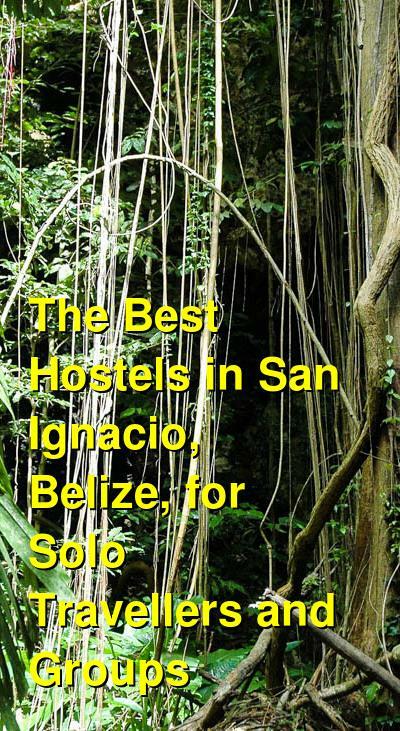 How much do hostels in San Ignacio cost? A very popular hostel amongst the backpacking and budget travel crowd, Bella's always gets high marks for providing a range of amenities and sleeping options in one of the most atmospheric hostels in Central America. Dorm beds are available, but so are private rooms of varying sizes including lofts and larger multi-person apartments. Wi-Fi, laundry, lockers, and other standard hostel amenities are available, naturally. The common areas such as the communal kitchen, rooftop terraces, and hammocks are what bring everyone together. This hostel continuously gets positive reviews for the social atmosphere, which is relaxed and fun. The location is also perfect. Bella's is set right in the middle of town, but a few blocks away from the noise. It's a great starting point for exploring the city, the nearby ruins, and all of the other activities San Ignacio has to offer. Right in the middle of San Ignacio, the Old House Hostel has dorm beds and a private room, all with shared bathrooms at very affordable prices. The balcony and other common areas provide a great place to socialize, as does the downstairs bar. The friendly staff keeps this "homey" place clean and organized. Lockers, towels, and internet are on the list of standard amenities. Guests leaving reviews claim that the hostel has a chill but social vibe, and is near many bars and restaurants to find a good time. A good distance to the east of San Ignacio, deep in the rainforest, lies this social and fun hostel that provides guests with a healthy dose of nature. Various lodges with dorm beds and private rooms make up this camp-like establishment set on a huge plot of land. 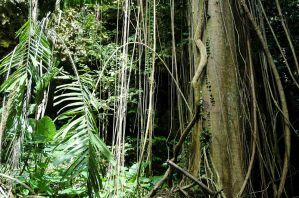 Nearby streams and the jungle are home to your new neighbors: toucans, frogs, and a host of other jungle creatures. Nearby Mayan ruins are also part of the allure of staying in a remote place that still has great food, Wi-Fi, and other services such as tour booking, hot showers, and a pool table. Guest reviews tend to highlight the amazing experience to be had, as well as the great food and cleanliness of the facilities. Outside of town, to the southwest of San Ignaio, in a rural setting amongst the fields, cattle, and horses is this gem of a getaway hostel and hotel near the Guatemalan border. Set on a working farm, the property has a series of small comfortable cottages for guests, and can cater to groups of all sizes. Amenities include internet, a communal kitchen, laundry, towels, a BBQ, and onsite meals. Horseback riding and excursions to the Mayan ruins are just a few of the great activities to be found here!